Hays, Kan. (May 22, 2018) HaysMed’s Center for Health Improvement will celebrate the 25th Anniversary of National Senior Health & Fitness Day. During the week of May 28th – June 1st anyone can attend a Group Fitness or Water Class for free. On Wednesday, May 30 join us for a free class and refreshment as we celebrate the health and fitness of our seniors. National Senior Health & Fitness Day is organized as a public/private good health partnership by the Mature Market Resource Center (MMRC). It is a program which offers fitness activities for older adults at more than 1,000 locations including hospitals, park and recreation departments, senior centers, health clubs, retirement communities, houses of worship, health departments and other community locations. This national event is held annually on the last Wednesday in May as part of Older Americans Month. Hays, KS (May 14, 2018) –Dr. Oluwaseun Akinbo, Orthopedic Surgeon has joined the medical staff of HaysMed as a full time physician. Dr. Akinbo has served as a locum in the HaysMed Orthopedic Clinic for the past 8 months. Dr. Akinbo completed medical school at the Columbia University College of Physicians and Surgeons. 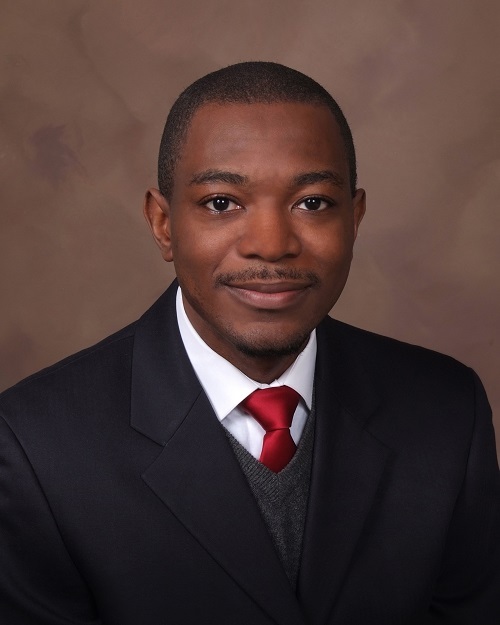 Dr. Akinbo completed a residency in orthopedic surgery at Howard University Hospital in Washington, DC where he served as the administrative chief resident during his final year of residency. He also served on the house-staff executive council and the orthopedic education committee. He also completed a fellowship in hip and knee replacement surgery at the world-renowned New England Baptist Hospital in Boston, Massachusetts. His primary areas of focus include primary and revising hip/knee replacement, fracture management and general orthopedics. Dr. Akinbo has been published in multiple peer reviewed journals and serves as a peer reviewer for multiple orthopedic surgery journals. Dr. Akinbo is now accepting new patients. Please call 785-261-7599.
time I’ve had the pleasure of her care and I couldn’t be more pleased! *The staff was great and we had no problems with anyone. she is very caring and fantastic at her job. c-section instead of letting me try to push her out even though it was very hard. concerns we had for them. We will definitely be delivering here again if/ when the time comes! Thank you staff at HaysMed! *Everyone was great! Thank you for helping me bring my beautiful baby into this world! wealth of knowledge and took excellent care of all of us. *I want to thank you all in the acute care unit. This was the very two worst 2 weeks in my life. The nurses and staff were very caring; kept me alive when I didn’t care if I lived or died. Your caring kept me alive. I can never express or thank you all so much. *We have received the very best of care for my husband during his stay on the cardiac unit. Very professional but also caring of how he’s feeling. Thank you so very much cardiac unit! I was pleased with my visit- Leah was friendly and made the visit good. As a breast cancer survivor it is very stressful doing mammos. Leah takes such good care of me and always makes me feel comfortable! I love all the girls at this clinic! HaysMed is very lucky to have such great employees. I just want to say I don’t usually fill things like this out, but want it know that the staff at HaysMed was absolutely awesome. A great since of humor and very accommodating. I would especially like to acknowledge Sarah Long, Barbara Miller, Kathy McGinnis and Noel Bates. Thank you all so much for helping me, it meant so very much to me! *Very enjoyable stay. Aids are very polite and helpful. Nurses are knowledgeable and friendly. Willing to go beyond yes and no answers to questions. Loved visiting with all the staff members. I would recommend this hospital to anyone. Thank you for the delightful stay. *Wish I could remember the names of everyone who I had personal contact with from the moment I entered the ER, to becoming a patient that the DeBakey wing, but there were so many! I will say this it refers to ALL: Very Kind, thoughtful, friendly staff! From ER to my floor and room, nurses, Dr’s and nuclear dept. As I am sitting here waiting to be discharged, I listen to the interaction between the co-workers themselves and can see and hear the teamwork and friendships within the staff. Very professional yet sincere kindness. Thankyou! *I am writing on behalf of my father and myself. My father received excellent care from the team on the bone, joint and spine floor. They were so attentive to his every need; they encouraged him, gave him positive reinforcement and were extremely patient. I can’t give enough praise to : Amber, Tina, Brenda, Kinzey, Lauren, Shannon, Stephanie, Mark (TCNS) and Aubrey (TCNS). “*I continue to be impressed with the people working in the bone, joint and spine center. All my call lights were promptly answered, all my questions were directed properly. Most importantly, I felt as though I were the only patient at the time, that they gave me all the time that I needed. I have used the After-Visit call line and have found it very reassuring! Thank you! *This radiation has been an exceptional experience for me. All three radiologists are extremely kind. I was very nervous starting this, but their smiles and very caring attitudes to me really made me relax and open up. The receptionist was really cool. She always greeted me very warmly and with a great sense of humor. They turned a bad illness into a great experience. *Please forgive me for not remembering names but the radiology crew at your center are superb! From the daily morning greeting and departure from Brenda, to the awesome girl in that department who have worked with me so nicely. They have become personal friends and have made my many visits there easy to get through. I loved talking and joking with them especially about the ice cold hands that make me jump! Great gals, not one in particular but all three of them provided excellent service and care to their patients! Keep up the great work! My experience hence has been very positive! Thank all of you so very much! *I would like to thank everyone in RAD oncology Dept. From the receptionist, to the nurses who treated me to all of the doctors I have met. I have been treated with kindness, compassion, courtesy and each and everyday everyone was concerned as to how I was feeling each day. And to all the other patients I have met. I want to thank you all very, very much. HaysMed can be thankful for such wonderful staff in their cancer unit. *My care here at DeBakey clinic is the best. The whole experience went far better than I expected. The Dr., Nurses and support staff all receive an A+. Thanks to all of you, keep up the good work. *Amy did a very good job! *I would like to thank the staff at HaysMed, cardiac rehab with their help. My recovery was a pleasant journey. I will recommend to anyone needing cardiac rehab, HaysMed is the place to go. Thank you. *I enjoyed the exercises. The ladies were very helpful and pleasant. Carlen and Ami were wonderful. They answered questions when asked. *Carmen and Amy were very good with my needs as a cardiac patient. They helped me understand what type of exercise is heart healthy. They were very concise about my other heart issues that came about in rehab. They were very professional and do an excellent job in their field. Thanks. *We can’t say enough about the great people here they have been so helpful above and beyond. *Your ER doctors used to have such a bad rap. But you hired 2 new doctors and they are both so very kind especially Dr. Miller. I’ve never had good experience with ER doctors because I suffer migraine headaches. The other doctor who is kind and actually listens to me is Dr. Garver. *Every time Jason in the ER is my nurse he goes above and beyond. He is absolutely my favorite nurse for he shows empathy and kindness. Wish all your ER nurses and Doctors were as kind as Jason is. *I had a little trouble locating the sleep clinic. Once things got started the instructions were clear and the setup/ application of sensors went quickly and were explained well. When my sleeping indicated issues after 1.5-2 hours things were adjusted. *I thoroughly enjoyed my stay. I was totally relaxed and had the best of care. He was very helpful and gave me hope. May God Bless him richly! *All questions were answered. All my needs were addressed and met. Because of the relaxed experiences I was able to respond to the testing. *Very good care- explanation of what was being done. *I think my sleep study went very well and very professional. *Thank you all for helping me through a difficult time. *My time spent at the Cancer institute went by very fast and I looked forward to seeing Melissa, Hayley and Andrea’s smiling faces every morning. Brenda would always say good morning when you walked in the door. It has been a very pleasant experience. Thank you all very much. gracious help. Everyone seemed to go out of their way to please. Everyone seemed skillful in their job. Both me and my husband were being treat in different departments. department. The radiation therapy techs were kind, patient and professional. *I am 100% satisfied. Doctors are great, staff is great. Everyone has made me feel very comfortable here. *I believe HaysMed has the best doctors and nurses in the state. They are so caring and concerned about your health. *Great experience while we were treated in the ER and after being admitted to the hospital. seeing her. HaysMed is so lucky to have her—she was such a bright spot in my day. *Jaryn was just INCREDIBLE! We just loved her—her personality is just what an RN should have! She was so knowledgeable and helpful and made us so comfortable. She was just a joy and we are so glad we had the privilege of meeting her! We can’t thank her enough for all she did. We will miss her smiling face and great sense of humor! *Brooke was my mom’s CNA several times during our sty here. She was EXCEPTIONAL. She seemed to know what mom needed before mom even knew herself. She clearly has a heart of gold and takes amazing care of her patients. I hope the nurses and doctors see what a great asset she is here. She sets the tone for a patient for their whole stay and she helped make sure mom’s stay was excellent. We will miss her. Please let her know how thankful we are for her. She is such a sweet person and deserves to be recognized for her performance! *Makenzie was a wonderful RN! She was so attentive and made me feel right at home. She was very helpful and made sure I had everything I needed. The patients here are lucky to have her. I hope you know how great she is! whenever she was working and had a great bed side manner and demeanor. She really helped make my mom’s hospital stay an enjoyable one and we are so thankful for that! *I think that the doctors and management should be happy to know that they are working with the best nurses and CNAs that are available anywhere. From check in to surgery prep nurse to the surgical nurse and recovery room nurse. Then to all the acute care staff. They are a joy to be around and talk with. Thank you all. professionalism and friendly attitude of everyone involved in my procedure. Donn at the check in desk, Kaitlynn and Devin were all wonderful! Dr. Thapa is a jewel! efficient and caring. Dr. Janif’s friendly manner put me at ease. I want to recognize each one of those who made my procedure such a comfortable experience: Dr. Janif, Katelyn, Pat, Carmen, Zach, Cathy, Devin, Stephanie and Kelli. I hope I didn’t miss anyone because they were all just wonderful! *Everyone has been very professional and helpful. We appreciate all your help. Kelli was very patient and thorough with all our questions and explaining things. Dr. was great too. explained clearly Dr. Ashraf also answered all my questions and is a great doctor. *I am beyond happy with everything at Hays Hospital. Love the staff! Every single one of them! Love the Doctor!! Dr. Janif is the best!! I will always use Hays for all my medical needs! *The people here are very friendly and helpful. They take care of you’re here. *Denise was so fast and friendly—loved her! *The mammogram was fast, efficient. I did not have to wait. The technician was charming. This was a nice experience. Friendly and efficient. *Thank you for everything. Everyone was friendly from waiting room to recovery. Susie is awesome and very friendly. She made me feel comfortable. professional and very thorough in informing me of all of his findings. Thank you HaysMed! *I was very impressed with my entire experience during my colonoscopy—from check in to release. Dr. Cunningham was amazing—very easy to talk to and explained my procedure—answered questions perfectly. All the nurses from Amanda at check in to the nurse who took me to OR (forgot his name) to the anesthesiologist and nurses in OR were very friendly and made me feel very comfortable. Thank you very much. *Awesome care and staff. Thank you! welcomed. Ashley was the nurse who did my IV and got me set up. She did an awesome job! Very friendly and she got my IV the first try! Great bedside manner! Overall the staff was awesome! *All of the staff was amazing, so caring and very helpful. Really enjoyed my stay. Dr. Fort was very exceptional. *I have had the best experiences with my nurses here. I am so grateful for such kind and caring folks. *Very nice staff. Did everything possible to make my stay comfortable and answered all my questions. *Everyone did a good job!! *You all do a very good job. I appreciate what you did for me and my baby. Thank you. *OB Nursing staff is amazing. They treated me as a friend not just a patient. One nurse held my hand through all the contractions. They are so thoughtful and considerate of myself and new baby. *The nurses, Kristen and Nicole, and Dr. Fort were awesome. Everyone helped me so much and were so patient with me and my family. I cannot thank Kristen enough. She was wonderful. The lactation consultants were great as well. Jill and Jessica. I’m so glad I chose Dr. Fort for my doctor. Dr. Powell was great also. Thanks to Doris also Thanks HaysMed! *We are so very impressed with the quality of care we have received during the birth of our 3rd son and recovery. Dr. Hodny and his nurses Jen and Janet are the BEST around and we feel so blessed to have been in their care for all 5 of our pregnancies and births of our 3 sons. All of our nurses have been exceptional in caring for us during our stay at HMC. Thank all for a wonderful experience! We will continue to visit HMC for all our medical needs! encouraging through our entire visit. Every nurse we had was eager to help and gave us exceptional care. Thank you so much!. Thanks to Lindzie, Susan, Katie, Lolly, Kailian, Dr. Fort and Dr. Lenzer. *Exceptional care—all staff helpful, caring and put the patient first. Top Notch. *Everyone who worked with me did a very good job. Everyone kind and patient. *Had a very pleasant experience. Good staff and RNs. Surgical staff is top notch. Very nice facility. *I got well taken care of and got my needs met. I had my leg operation and my night nurse she set with me. I like pain chart—good. I would stay again and tell others about hospital. It is nice to get milk at my meals. *Everybody was excellent. Everybody laughed at my jokes even though I’m not a comedian or great speller. I enjoyed my stay. *Everyone that worked with me was very good. All nice and friendly. I was more awake today and Amber was great. I will continue to come to HaysMed. *I got very good care and everyone was very nice. *I received the best care anyone could ask for. All doctors, nurses were very good. Thanks for the good care I received. *I fel t I have always had very good care in this hospital. Staff is friendly and do a wonderful job. *You are very caring and responsible. *Always a delight coming to the center. Everyone is warm, friendly and caring. It feels like family. Thank you! Denise is very thorough and explains in detail what the exam is showing. (Hays, KS – May 7, 2018) – HaysMed will be celebrating National Hospital Week from May 6 – 12 . The theme of this year’s celebration is Caring is our Calling. The nation’s largest health care event, National Hospital Week dates back to 1921 when it was suggested by a magazine editor who hoped a community wide celebration would alleviate public fears about hospitals. The celebration, launched in Chicago, succeeded in promoting trust and goodwill among the public and eventually spread to facilities across the county. From providing treatment and comfort to the sick, to welcoming new life into the world, hospitals are central to a healthy and optimistic community. Hospitals are more than a place where people go to heal, they are a part of the community that fosters health and represents hope. Hospital week celebrates hospitals, health systems, and the women and men who support the health and well-being of their communities through dedication and care from the heart. Celebrating National Hospital Week provides an opportunity to thank all of the dedicated individuals – physicians, nurses, therapists, engineers, food service workers, volunteers, administrators and so many more – for their contributions. In recognition of the hard working Associates at HaysMed various activities are scheduled during this week including chair massages, basket extravaganza, BBQ on the patio, and other fun events.